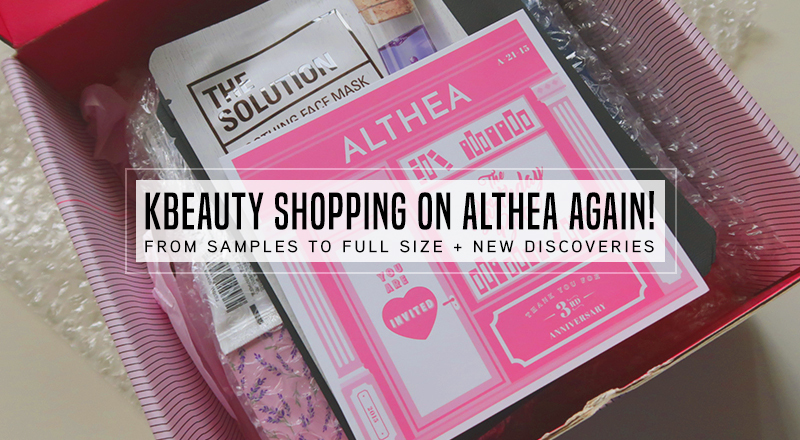 Althea Addiction #8: From samples to full-sized & more [haul + #AltheaAngels] | C A N D A C E .
Hello friends! 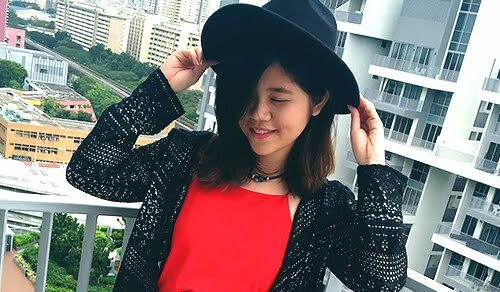 I know it's been a long while since my last #AltheaAddiction post, but hey, I'm finally back with one + some exciting news to share!! Over the past couple months I've been controlling how much I splurge on beauty products so I've only been getting products that I need and usually only when it's on sale(so you guys probably only see my mini one item hauls on my IG stories haha). This time round I received some shopping credits from Althea thus deciding it was time to treat myself a little and snag some products I've been eager to try out for a long time! 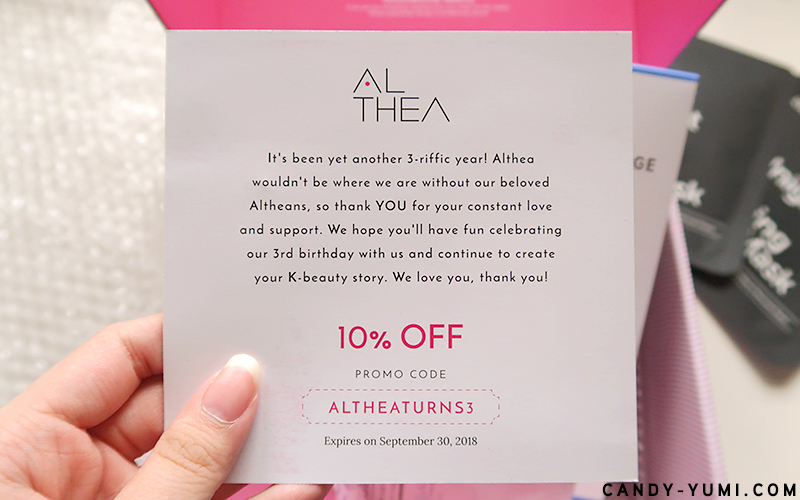 To anyone that has been reading my blog or knows me in real life would know that whenever I'm shopping for any K-Beauty products, my first stop to shop at will always be Althea because not only their prices are good, their 'cashback' amount on Shopback.my is also pretty good haha. Basically win-win for my wallet la. Super aunty, I know but to be a part of something I love makes me really happy and it's a journey I'm excited about! 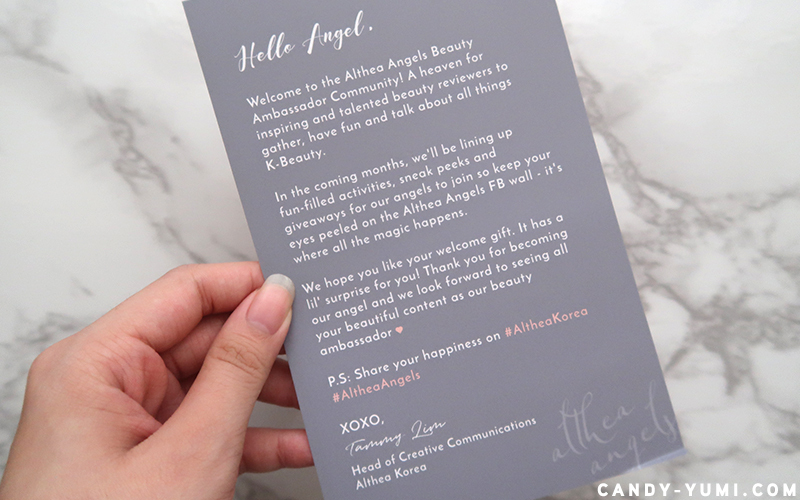 So as I was saying earlier, Althea was super nice to shower us with some shopping credits to shop and on top of that we also received a lovely welcome gift in this super cute Althea Angels box! 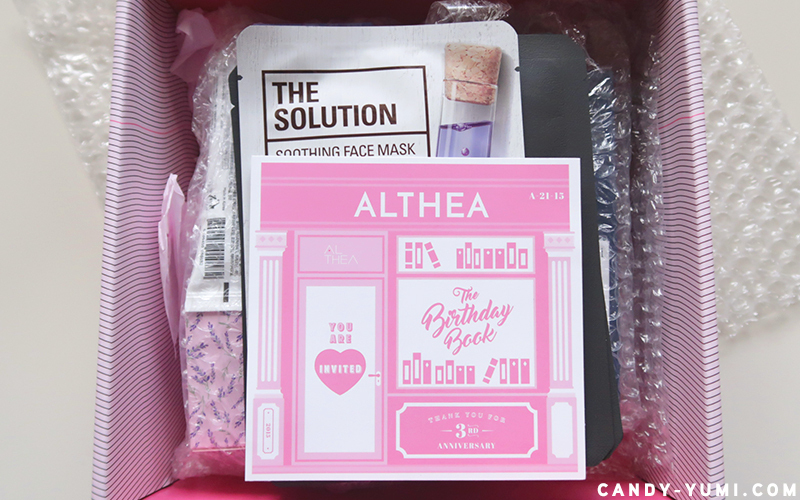 Inside I received an Althea 3rd Bday tote bag, a pretty pink makeup pouch(which I need because my travel skincare is now expanding thanks to acne), a simple hand mirror, greeting card, mini DIY Althea boxes, and TWO new products from Althea! As spotted, the two Real Fresh Skin Detoxer in Green Tea and Rose are Althea's latest products in collaboration with the hit K-beauty TV Show 'Get It Beauty'! These wash off masks are retailed at RM43 each but you can also buy both as a set for RM77 on Althea Korea's website. I've been testing the two products for about two weeks now and so far I'm loving both. I do have some pros and cons I would like to share about but I shall keep that for a full review blog post coming soon this upcoming week. I've already taken all the photos I need but I've been caught up with work so please bear with me for now okie! 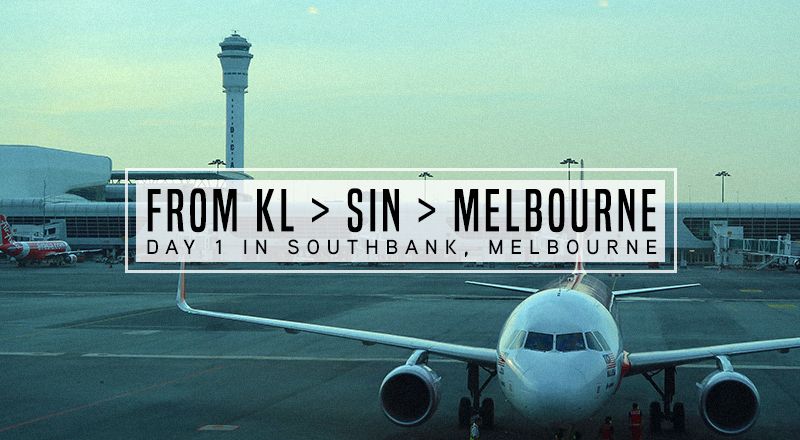 here's how the welcome card looks like! 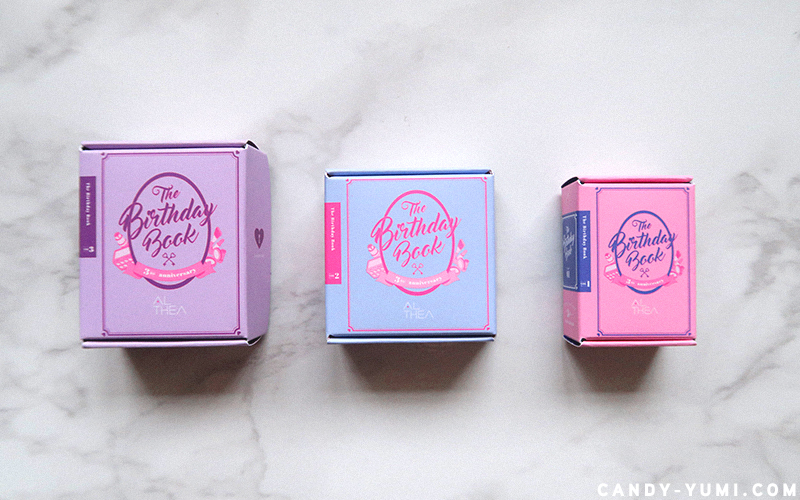 and these are the Althea 3rd birthday boxes miniatures!! Now that my mini Althea Angels announcement is done, we can finally proceed back to our main agenda of the day hahaha! 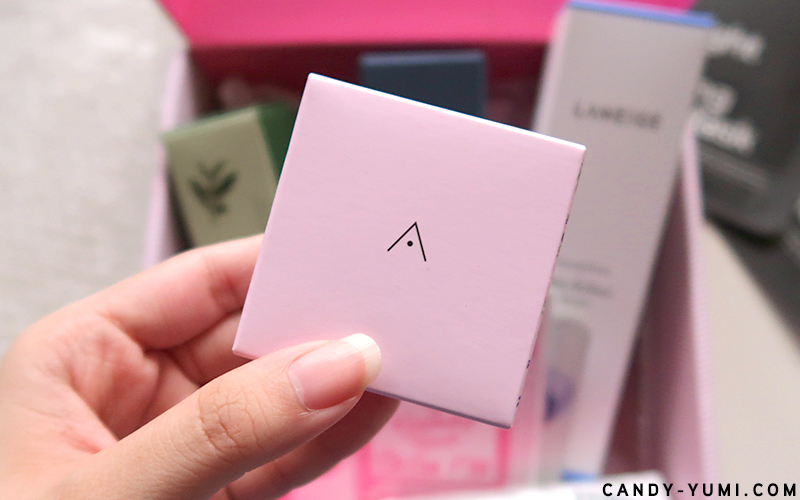 If you would like to see what I recently bought from Althea Korea, please keep reading! Back to the haul, here's how the classic Althea boxes look like. 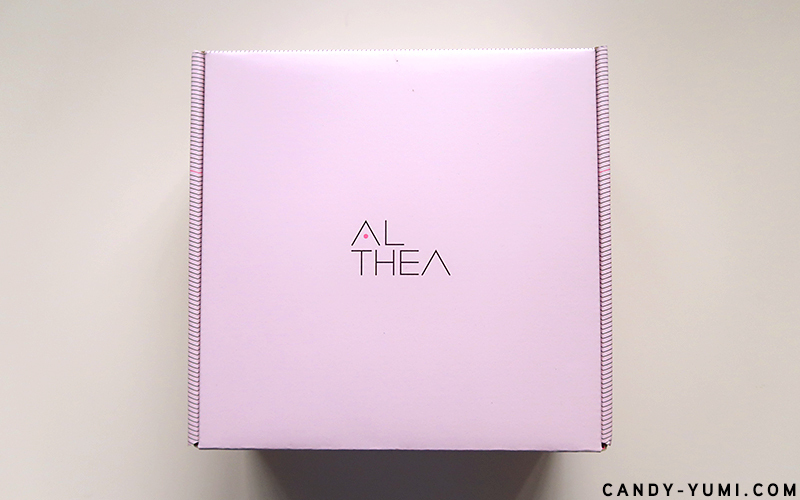 If you shop on Althea, your order will typically be shipped in this simple baby pink, really sturdy cardboard box. However on special occasions like seasonal celebrations, Althea would release beautiful limited edition designed boxes to pack your orders in! Honestly, I was a little bummed seeing this because if only I placed my order earlier I probably would've gotten their cute 3rd Birthday Boxes instead. Oh and kudos to Althea for shipping my parcel out so fast! Last time I remember waiting for almost a month for my parcel but this time my parcel arrived within 2 weeks! Was so shocked when the courier abang gave me a 9AM wakeup call saying that he's on the way to deliver me my parcel lol. By the way this is not an Althea Angel perk okayyy! My friend shopped on Althea two days after me also got her parcel a day after mine hahaha! and here's my little haul all nicely packed and wrapped around with bubble wrap! 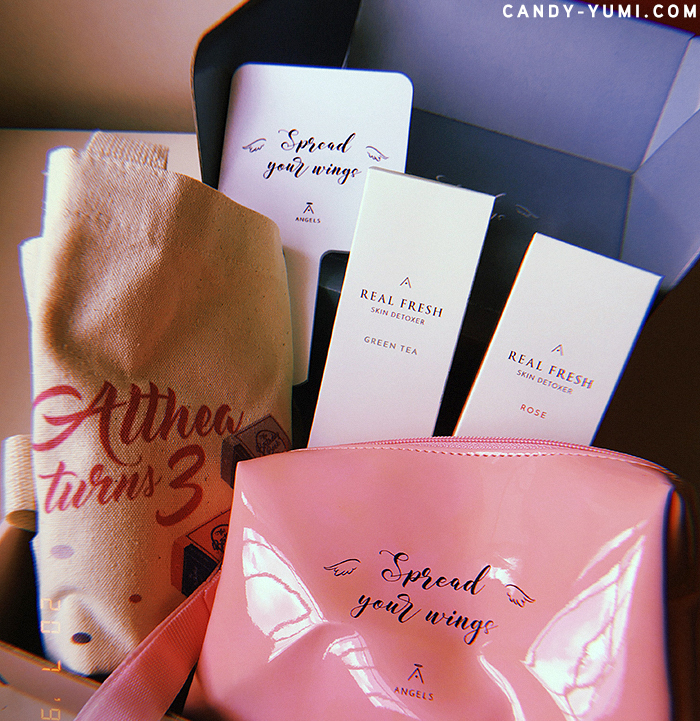 I really love the design team at Althea because not only their seasonal box designs look super pretty and cute, even their little 'promo code cards' are always matching the theme. To anyone planning to shop on Althea, you can use the promo code 'ALTHEATURNS3' upon checkout for 10% off your order! As stated on the card, this promo code expires on September 30th 2018 so hurry up! Usually whenever I travel, I tend to pack sample skincare products rather than bringing full sized ones. 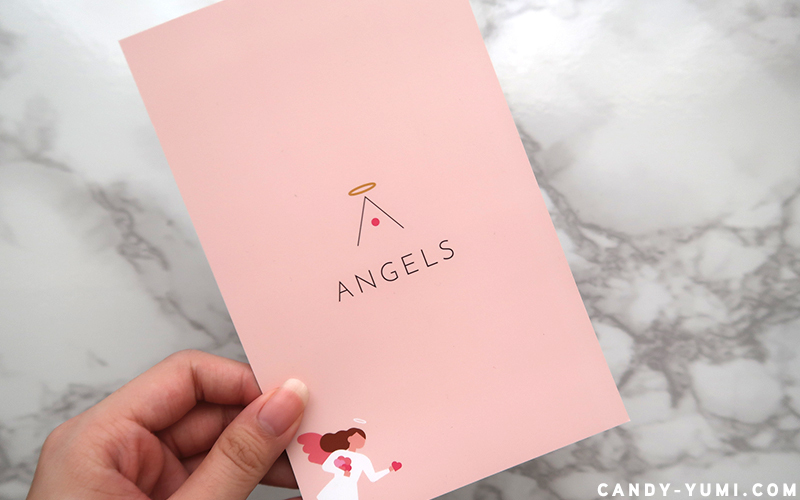 No doubt out of all the samples I've tried and tested, there's bound to be a few to catch my heart and today I will be sharing the two samples I fell in love with and has decided to purchase it's full-sized version. 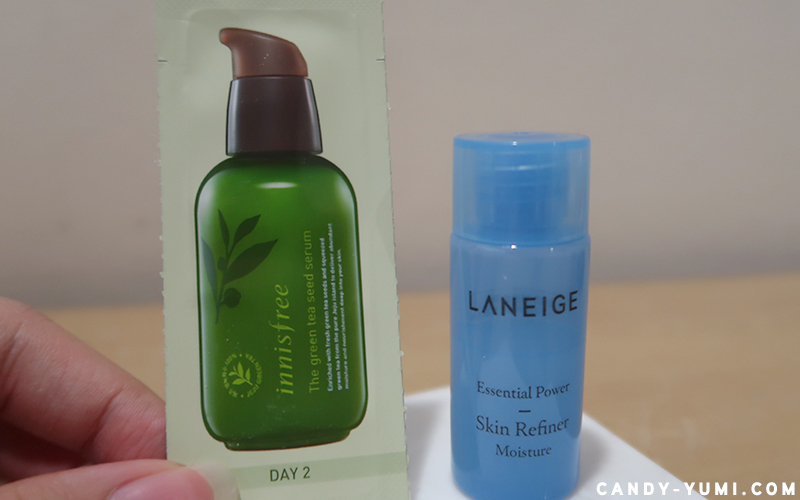 The first one up would be this Innisfree Green Tea Seed Serum 80ml - RM89. Seems a little pricey but in terms of 'serum prices' I feel that this price is already on the more affordable side. Over the past two years I've been constantly receiving sachet samples of this serum and I guess over time I've just decided that I wanted a full size of this (especially now that my samples stash is running low). 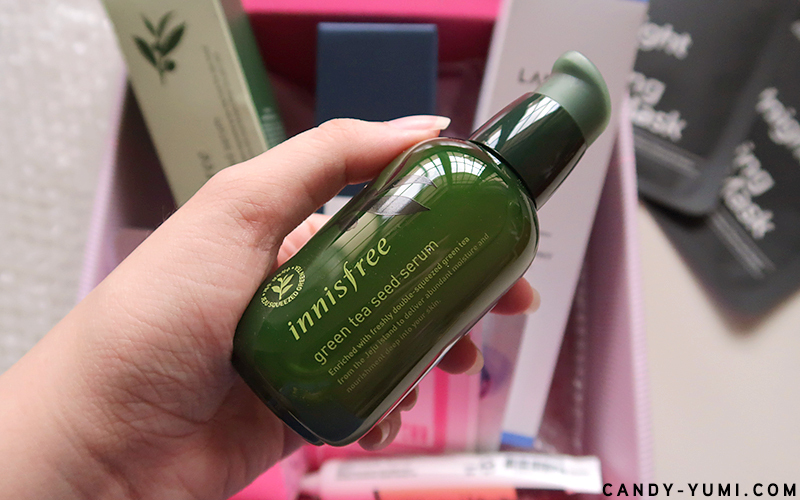 This Green Tea Seed Serum from Innisfree is a hydrating serum with key ingredients like Green Tea Extract and Green Tea oil. When it comes to beauty, Green tea in general is a very popular ingredient used as it is rich in antioxidants promoting skin-soothing and hydrating properties. True to it's hydrating claims, I noticed that after using this product, my skin would feel softer and well-hydrated. 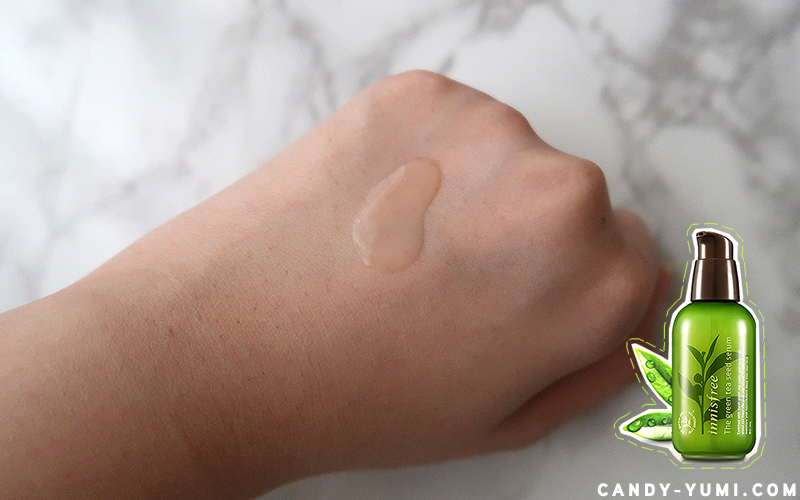 This serum has a gel-almost liquid like consistency and feels super lightweight on the skin. Once you spread it over your skin, it actually feels as light as water. My skin takes about 10 minutes to properly absorb the product and after that my skin would still feel soft and hydrated with barely any sticky feeling at all. I don't exactly know how green tea smell like but this product does carry a fresh tea-like fragrant to it. Nothing too strong so it's fine. To sum things up, this Green Tea Seed Serum is kinda like a lightweight 'second moisturizer' in my skincare routine now. 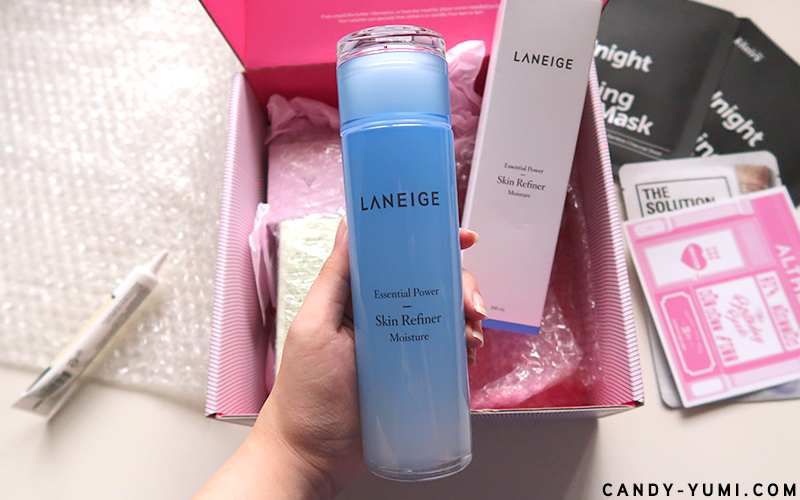 The next sample turned full-sized purchase would be this Laneige Essential Power Skin Refiner Moisture 200ml - RM85. This one here is supposedly used as a hydrating toner. To be honest, I had no idea this was a toner until I read it on Althea's page. K-beauty terminology is always so confusing to me T.T and all this while I've been using this after my usual toner??? Is toning my face twice even okay??? I googled and a lot of people said it's okay to do so on forums but let me know what you guys think! Well anyways, according to the product description, this product is formulated using Hydro-Ion mineral water which is supposed to provide moisturizing energy to your skin faster and more effectively. Another key ingredient in this product is Betula Alba Juice which is rich in amino acids and minerals. It's supposed to moisturize and soften your skin and relieve dead skin cells. As you can see the consistency is very watery but slightly thicker than most toners in the market. To summarize my thoughts on this product, I'd say it's very lightweight, it is not super moisturizing but my face does feel softer after using it. As I wash my face in the shower, my face does feel a little warm sometimes from the heat in the shower so this does toning lotion does help to soothe and cool my face slightly. Oh, and I love the scent! Do take note that this Skin Refiner/toning lotion is available in two variants - moisture and light. Moisture is suitable for those with Normal-Dry skin while 'light' is suitable for those with oily-combination skin. 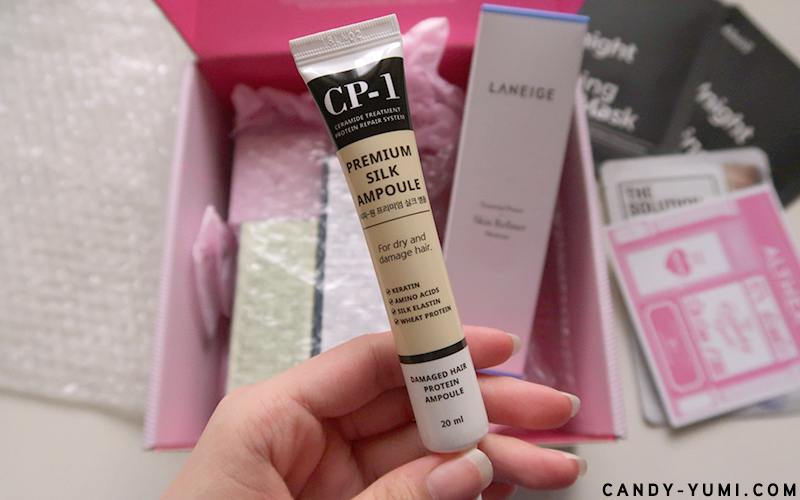 We've finally concluded my samples to full sized purchases haul and now let's take a look at a few products I bought that I've never tried before but wanted to! First one on the list is the Petal Velvet Powder in #Pink Lavender. 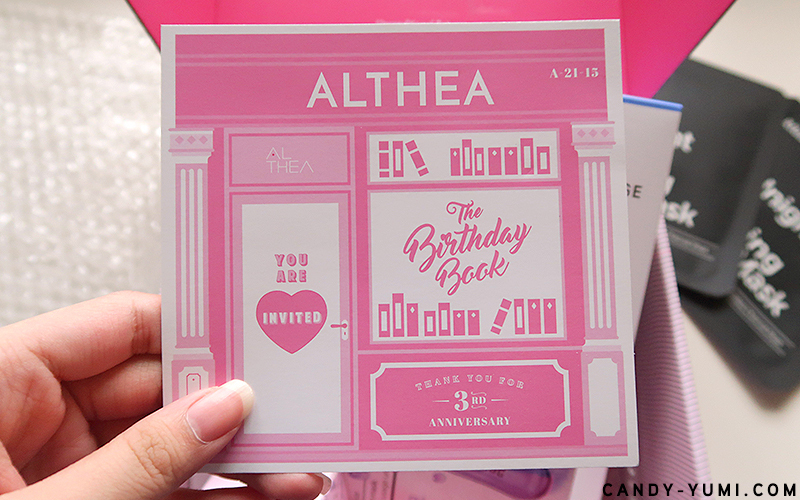 This is a limited edition shade to celebrate Althea's 3rd anniversary and for RM17 you get 3g worth of product. I've already tried their first Petal Velvet Powder in #Translucent so in a sense I can't really say that I've never tried this product before. However, this #Pink Lavender shade is a new release so I'm not sure if the formula would feel the same as the Translucent one. When I was doing my shopping, there was a promotion going on for this powder in which if I purchase over a certain amount, I am entitled to get this for free and so I did exactly that. By the way, I didn't know that Althea released a #23 warm beige shade too, if I did I would've gotten that as well so I guess that's going into my cart for my next purchase! I've reviewed their first #Translucent Petal Velvet Powder here so if you're curious on a detailed review on that, you may take a look. 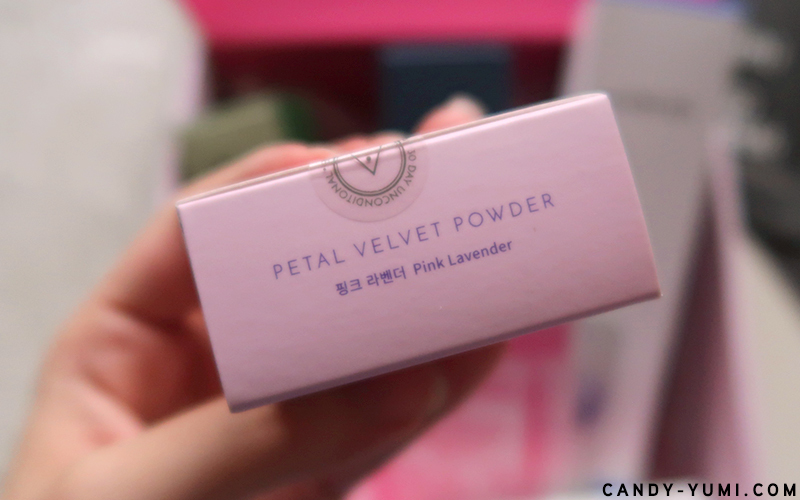 The Petal Velvet Powder is supposed to brighten and smoothen your skin. The #Pink Lavender shade contains colour correcting properties pink and purple pigments to liven up dull complexions. The formula is supposed to give your face a nice a matte finish and keep the sebum away without drying your skin. I have yet to try this product but if you wish to see a full review on this, let me know! I saw this on Althea previously but because it was out of stock I wasn't able to get it until now. This one here is a leave on hair treatment for dry and damaged hair. Check and check. According to the product info, this leave on hair treatment can be applied onto wet or dry hair. It contains protein to strengthen, protect, and repair your hair, contains hydrolyzed silk to de-tangle your locks, supposedly easily absorbed and not sticky as well. I have bleached ends and we all know how expensive salon treatments are so I'm really excited to see how this RM6 home treatment would help my hair condition. Although I don't expect it to give me RM200+++ salon hair treatment results, but if my hair does feel as good as how it feels after using the 76Style Ultrasonic/5-step home after-care treatments, I'd be more than contented and would gladly buy like 10 more to keep for bad hair days. By the way, I'm referring to the after-care products 76 lets you bring home after your treatment. I've been dealing with pretty bad acne for a few months now so I've been watching a bunch of 'Acne Skincare Routines' and stumbled upon this youtuber called Joan Kim. She's done many videos on how she fought acne and after watching a few of her videos, I've decided to subscribe to her channel! 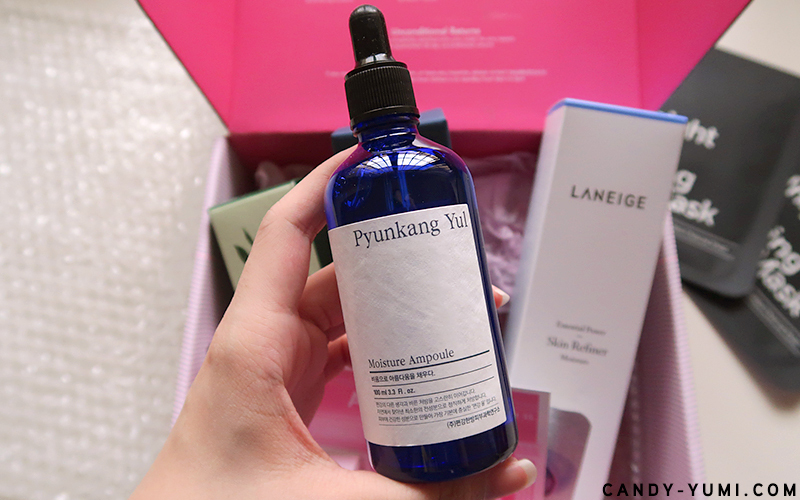 In one of her 'favourites videos', she mentioned about Pyunkang Yul's Moisture Ampoule and her overall review on the product was pretty good. Okay, on top of my acne struggles, I do get the occasional 'very dry skin days', so I'm definitely up for any 'moisture care products'. Since I saw this selling on Althea, I've decided to add it to my cart and after hearing about how the brand never uses any harmful ingredients in their products, I really hope Althea would bring in more products from Pyunkang Yul. According to the product info, this product is supposed to provide long-lasting moisture to your skin throughout the day, smoothen and revitalize the skin, help remove dead skin cells, stabilize skin's temperature, and reduce redness. I probably won't be doing a full review on this but I might share my thoughts on this product via IG stories after I try it out! 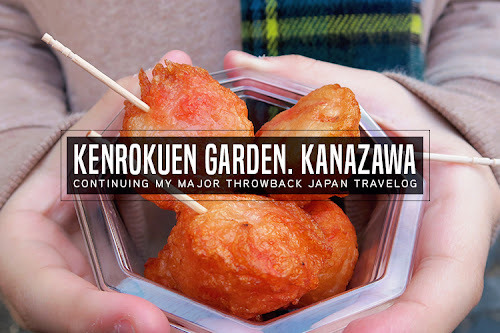 I know this post is super long but we're almost done! The last things I bought during my haul are these facial sheet masks! I don't recall if I've ever made an Althea purchase where I don't buy facial masks but I just can't help getting more :') I'm the kind that would always want to have facial sheet masks on standby at home for days where my skin is feeling irritated or when I'm having new breakouts, or simply feeling way too dry. Anyways, here's the two I bought the other day! One from Dear, Klairs and the other from The Face Shop. 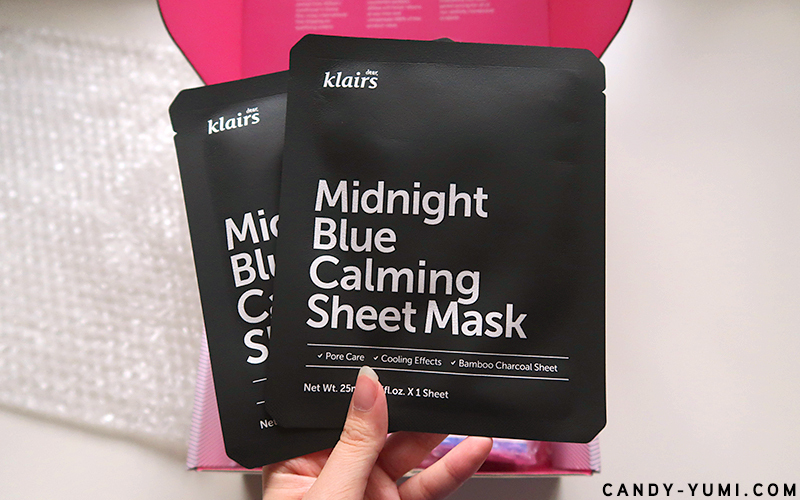 There are two variants of this facial sheet mask from Klairs. One is this Midnight Blue Calming Mask and the other is the Rich Moist Soothing Tencel Mask (white one) The Rich Moist Soothing Tencel Mask is recommended to those with dry and sensitive skin but I'll probably get that during my next Althea purchase instead. 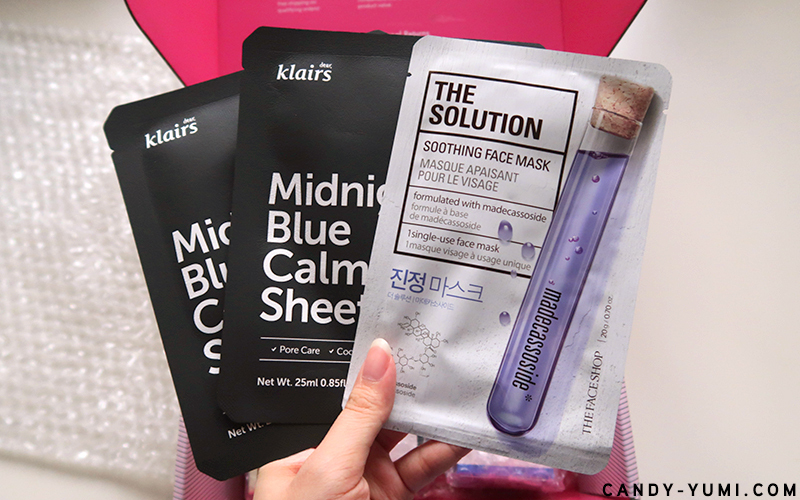 This time round I got the Midnight Blue Calming Sheet Mask because it has properties that I'm really interested in like pore care, cooling effects, and also acne spot care. 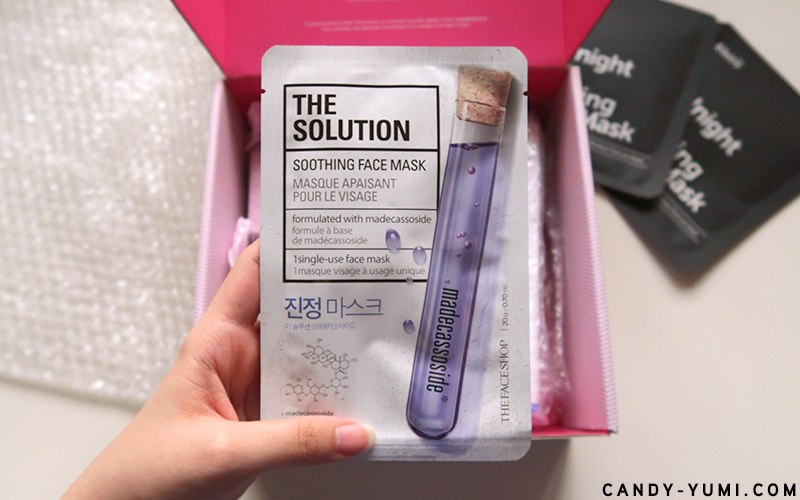 I have enlarged pores and acne concerns so after watching the Wishtrend review on the mask, I'm 100% excited to try this out! 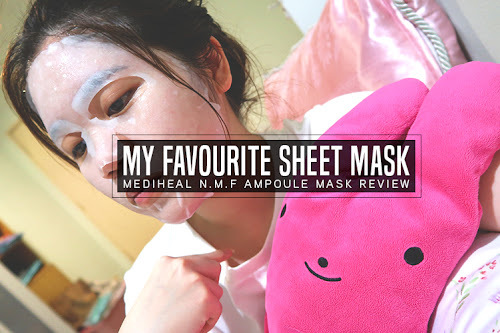 I love writing about facial sheet masks but depending on the results and if I have the time to, I may or may not write a full review on this so we'll see after I try it out! I've been debating if I wanted the hydrating or soothing one but in the end I got the soothing one because I still have a stash of hydrating sheet masks at home. There really isn't much info on this face mask on the internet but based on a quick google search, Madecassoside is an ingredient commonly known for it's skin healing and anti-aging properties. The one and only mask I've tried from The Face Shop previously is their Dr.Belmeur Daily Repair Soothing Gauze Sheet Mask and I really loved the results it gave. Although there isn't much product info on the Solution range, there were many positive reviews on it so I've decided to get one to try anyways. Will share about it if I'm impressed by results! This sums up my recent Althea haul unboxing and I hope you guys enjoyed reading despite it turned out wayyy longer than what I expected??? 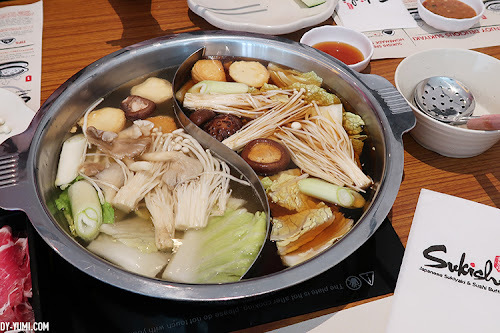 I haven't wrote so much in such a long time and I have so much more I wanted to talk about like my acne problems, the head spa I tried out recently at 76Style, my Aori Ramen review??? but I guess I'll just have to postpone all that further until I've finished up some work I have on hand first. Next up will be my full review on the Althea X Get It Beauty Skin Detoxer collab so stay tuned!!! Sign up and shop on Althea via my referral code and get 20% off HERE! Sayonara and thank you for the shopping points Althea!! I rented a capsule coffee machine for RM1? ?